Monell Center scientist Kai Zhao, Ph.D., is principal investigator on a $1.5-million, 4-year grant from the National Institute on Deafness and Other Communication Disorders (NIDCD), part of the National Institutes of Health, to further develop clinical methodology that can predict the path of air flow through a person’s nasal passages. The methodology may someday help physicians evaluate treatment outcomes for patients undergoing surgery to reverse nasal obstruction and associated loss of smell (anosmia). “Our proposed research intends to validate a clinical tool that can determine whether blockage of nasal airflow contributes to a patient’s smell loss,” said Dr. Zhao, a biological engineer at the Monell Center (Advancing Discovery in Taste and Small) in Philadelphia, Pennsylvania. “This knowledge will assist both patients and clinicians in planning effective treatment options and potentially save millions of dollars in healthcare costs each year by eliminating unnecessary surgeries.” The project adds to the Monell Center’s expanding list of research focused on anosmia, the clinical term for lack of the sense of smell. Anosmia has several causes, including physical nasal obstruction due to chronic nasal sinus disease. Such obstruction, which can be caused by inflamed tissues, polyps, or other physical causes, is thought to block airflow, thus preventing odor molecules from reaching smell receptors high inside the nose. Approximately one quarter of anosmia cases are related to chronic nasal sinus disease, which affects an estimated 30 million people in the United States each year, making it one of the country’s most common medical conditions. Patients with nasal sinus disease often report congestion and accompanying feelings of airflow blockage or obstruction. However, in earlier studies, Dr. In 2008, the World Health Organization (WHO) announced a global effort to eradicate malaria, which kills about 800,000 people every year. As part of that goal, scientists are trying to develop new drugs that target the malaria parasite during the stage when it infects the human liver, which is crucial because some strains of malaria can lie dormant in the liver for several years before flaring up. A new advance by MIT engineers could aid in these efforts. 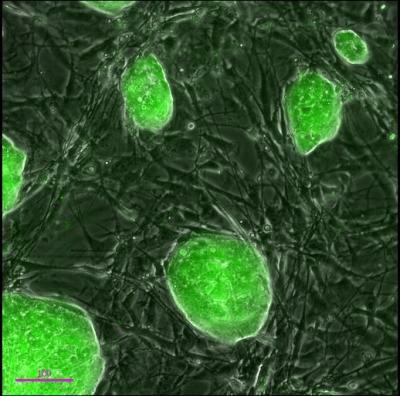 The researchers have discovered a way to grow liver-like cells from induced pluripotent stem cells (iPSCs). These cells can be infected with several strains of the malaria parasite and respond to existing drugs the same way that mature liver cells taken from human donors do. Such cells offer a plentiful source for testing potential malaria drugs because they can be made from skin cells. New drugs are badly needed, because some forms of the malaria parasite have become resistant to existing treatments, says Dr. Sangeeta Bhatia, the John and Dorothy Wilson Professor of Health Sciences and Technology (HST) and Electrical Engineering and Computer Science at MIT. "Drug resistance is emerging that we are continually chasing. The thinking behind the call to eradication is that we can't be chasing resistance and distributing bed nets to protect from mosquitoes forever. Ideally, we would rid ourselves of the pathogen entirely," says Dr. Bhatia, who is also a member of MIT's Koch Institute for Integrative Cancer Research and Institute for Medical Engineering and Science (IMES). These cells, described online on February 5, 2015 in an open-access article in Stem Cell Reports, could also allow scientists to test drugs on cells from people with different genetic backgrounds, who may respond differently to malaria infection and treatment. If you were about to enter a crowded subway during flu season, packed with people sneezing and coughing, wouldn't it be helpful if your immune system recognized the potentially risky situation and bolstered its defenses upon stepping into the train? According to a new study by University of Pennsylvania (Penn) and Imperial College London researchers, the mosquito immune system does something very similar. After ingesting a meal of blood, mosquitoes ramp up production of immune system proteins that help fight off the parasites that blood might contain. "This appears to be a new mechanism by which the mosquito is anticipating a parasite infection," said Dr. Michael Povelones, an Assistant Professor in Penn's School of Veterinary Medicine, who co-authored the study. Dr. Povelones collaborated on the work, published in the December 2014 issue of the Journal of Innate Immunity, with Imperial College London researchers Dr. Leanna M. Upton, a research associate, and Dr. George K. Christophides, a Professor and Chair of Infectious Diseases and Immunity. Dr. Povelones has spent many years studying the interplay between mosquitoes and parasites. While it's easy to think about mosquitoes as a mere portal for shuttling malaria and other diseases from one person to another, the insects themselves have their own immune response to infection. A greater understanding of how mosquitoes naturally fight off infection could offer a strategy for preventing humans from getting infected with those same pathogens. "With malaria and other vector-borne diseases, we're faced with problems of not having effective vaccines, [of] drug-resistant parasites, and [of] insecticide-resistant vectors. But, as it turns out, mosquitoes do a great job of controlling infection in their own bodies," said Dr. Povelones. Lungfish and salamanders can hear, despite not having an outer ear or tympanic middle ear. These early terrestrial vertebrates were probably also able to hear 300 million years ago, as shown in a new study by Danish researchers. Lungfish and salamander ears are good models for different stages of ear development in these early terrestrial vertebrates. Two new studies, published online in the Proceedings of the Royal Society B (February 4, 2015) and The Journal of Experimental Biology (February 1, 2015), show that lungfish and salamanders can hear, despite not having an outer ear or tympanic middle ear. The study therefore indicates that the early terrestrial vertebrates were also able to hear prior to developing the tympanic middle ear. The research findings thus provide more knowledge about the development of hearing 250-350 million years ago. The physical properties of air and tissue are very different, which means in theory that up to 99.9% of sound energy is reflected when sound waves reach animals through the air. In humans and many other terrestrial vertebrates, the ear can be divided into three sections: the outer ear, the middle ear, and the inner ear. The outer ear catches sound waves and directs them into the auditory canal. In the middle ear, pressure oscillations in the air are transferred via the tympanic membrane (eardrum) and one or three small bones (ossicles) to fluid movements in the inner ear, where the conversion of sound waves to nerve signals takes place. The tympanic middle ear improves the transfer of sound energy from the surroundings to the sensory cells in the inner ear by up to 1,000 times, and is therefore very important for hearing in terrestrial vertebrates.